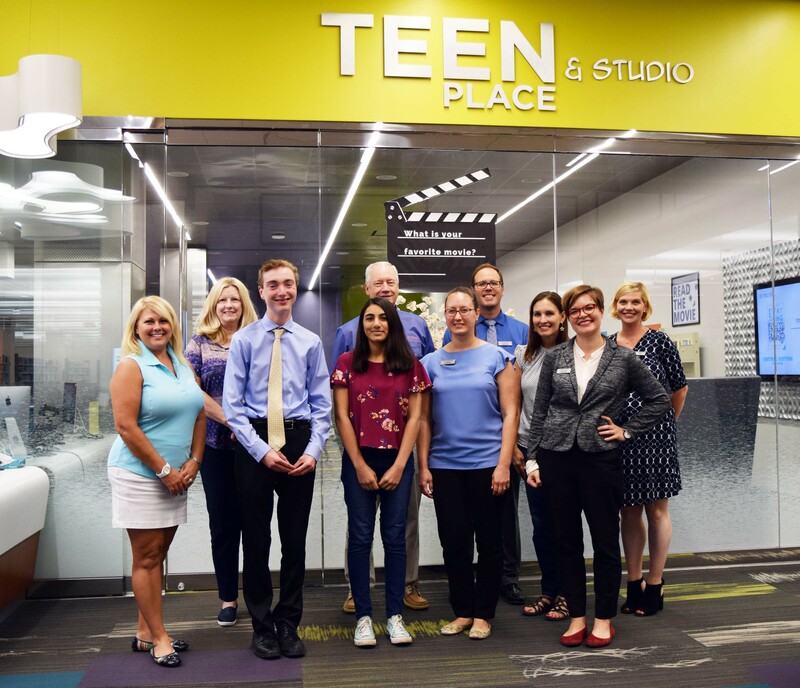 For the past 10 years, the Board of Trustees at the Schaumburg Township District Library has selected two individuals between the ages of 15 and 19 to serve in the role of Student Advisory Trustees whose role it is to serve as representatives to their peers. 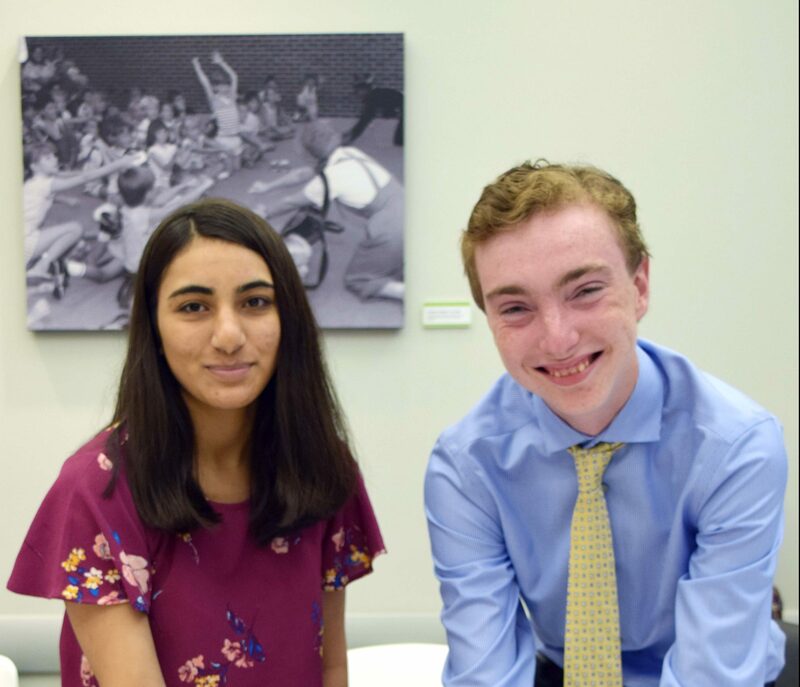 This year’s Student Advisory Trustees are District 211 students Alisa Gandhi from James B. Conant High School and Matthew Williams from Schaumburg High School. On September 17, the two students were sworn in to begin their one-year term. Teen Outreach Librarian Anna Pederson said selected students must reside within the boundaries who apply and undergo an interview by three members of the board. Perspective SAT’s are asked to describe their extracurricular and volunteer activities as well as their favorite programs at the library. Williams and Gandhi with members of the Schaumburg Township Library Board. Students selected for the position can serve a total 2 years. Each term runs from September through the following July. In their position, they will provide a unique student perspective that the board would not have. They will also work to help make teens aware of the variety of activities being hosted by the library. Pederson said each group of SAT’s contribute to the library in their own ways. “There are numerous small ways each SAT has contributed that, bundled as a collective effort, has greatly benefitted the library,” she said.